And breathe… made it to half term! It is February, we are now a few weeks away from our well-intended New Year’s resolutions- but how many of them are here to stay? How many of us so desperately needed half term to arrive? 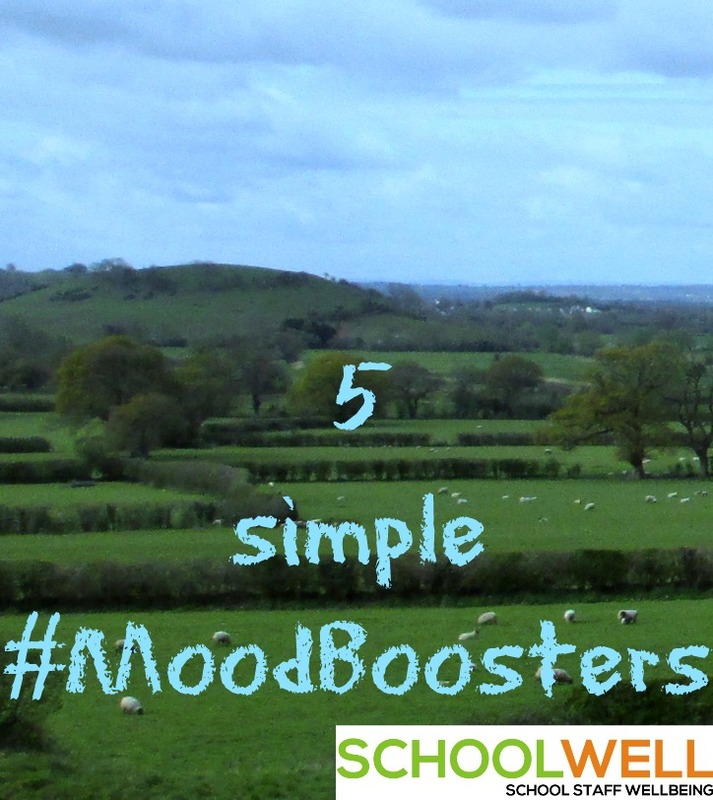 How many of us have actually been unwell over half term? We tend to start the year by pledging to get fit, eat better, reduce bad habits, have better work life balance and to move closer towards our goals. The problem is we often fall into a trap of wanting to ‘correct’ the negative aspects of our lives which means we actually start the New Year on the back foot with perhaps a sense of unease. Wanting to improve areas of our lives is a good thing but we are so used to this combative approach that we end up in battle with ourselves and unless we have a firm handle on our ‘inner chimp’ (Chimp Paradox- great book!) then we end up feeling let down and frustrated with ourselves. Our resolve to do things a certain way comes from the busy lives we have but trying to negate the causes of stress by creating new pressure isn’t helpful. 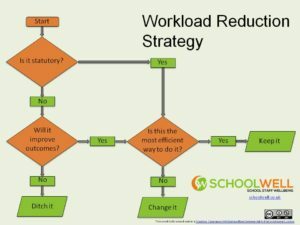 Excessive amounts of relentless pressure and stress can lead to exhaustion and possible burnout and we often see teachers getting poorly or run down by the time the half term holiday rolls round simply because we haven’t been paying attention to our own wellbeing and health and we work at such a pace and then we stop suddenly! Stress permeates our lives; it is part of school life and a certain amount of stress gets us out of bed in the morning, motivates us and creates the adrenaline we need to do a good job. Without a bit of adrenaline we might become lethargic and too relaxed to do a good job. If we tune in to our bodies and minds we can easily workout how we are doing. Are we sleeping well? Can we locate any anxiousness if we scan our bodies, have we had headaches, are we being patient and kind or have we got a short fuse? Are we eating well? How are we breathing? What is our self-care like at the moment? The good news is that if we know how we are we can quite easily use helpful strategies to reverse the effects of stress on our bodies. Regular exercise helps to alleviate that frustrated feeling and exercise helps us reconnect with our bodies, yoga is particularly good as it combines movement with meditation. Fresh air combined with exercise is particularly beneficial too as being outdoors gives us a sense of perspective. What do you do to move your body? People ask me how I find time to teach Spinning at the gym at weekend when I’ve got a busy job and two children but for me it’s ‘need to do’ not ‘nice to do’. The upbeat dance music coupled with the adrenaline of pushing my legs and my clients to the brink of exhaustion does it for me! It’s not for everyone though and we all have to find our own way to move that suits us. I also recommend the book: Mindfulness – a practical guide to finding peace in a frantic world. Teaching, leading, working in a school is stressful: the pace, the responsibly, the invisible work we all do at night to stay on top of our workloads and it’s not easy. However, nobody can look after your own wellbeing except you. 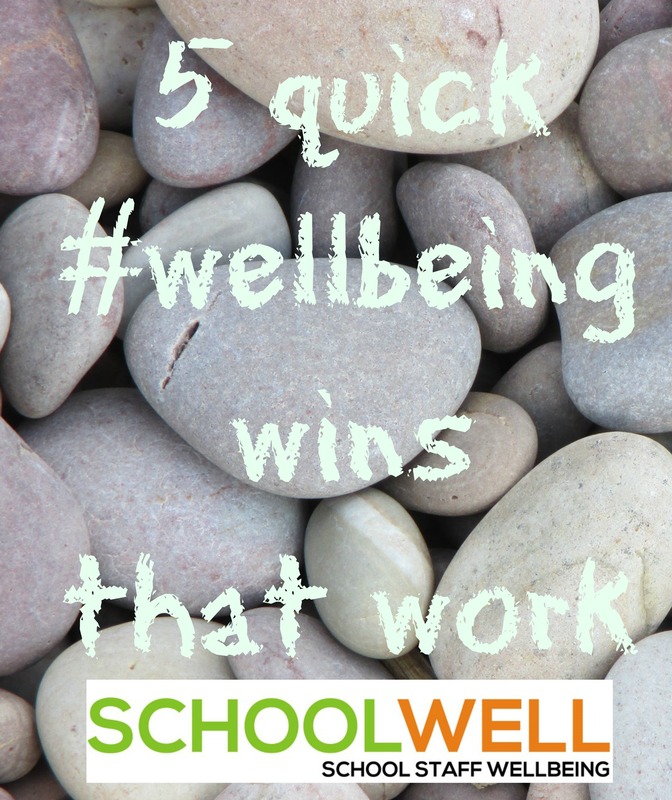 You decide whether to eat your lunch at your desk or whether to have a walk round and get some fresh air or connect with colleagues. You decide whether you need a night off or whether to look at your emails weekend. You decide whether you are going to be kind to yourself or berate yourself. My advice is try a softer approach, what would your inner kind voice say to you? 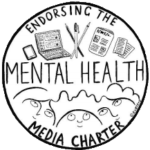 Your school might want to consider exploring the Wellbeing Charter: http://www.wellbeingcharter.org.uk/index.php) or/and how we explore becoming a ‘Mindful Employer’ which is an NHS initiative about being positive about mental health. There are some nice things schools can do which don’t cost us money. The Daily Mile is one example of this – We all know that being physically active is good for our bodies. But our physical health and mental health are closely linked – so physical activity can be very beneficial for our mental health and wellbeing too. Lots of us don’t get enough exercise to stay healthy, but physical activity is particularly important if you have a mental health problem. 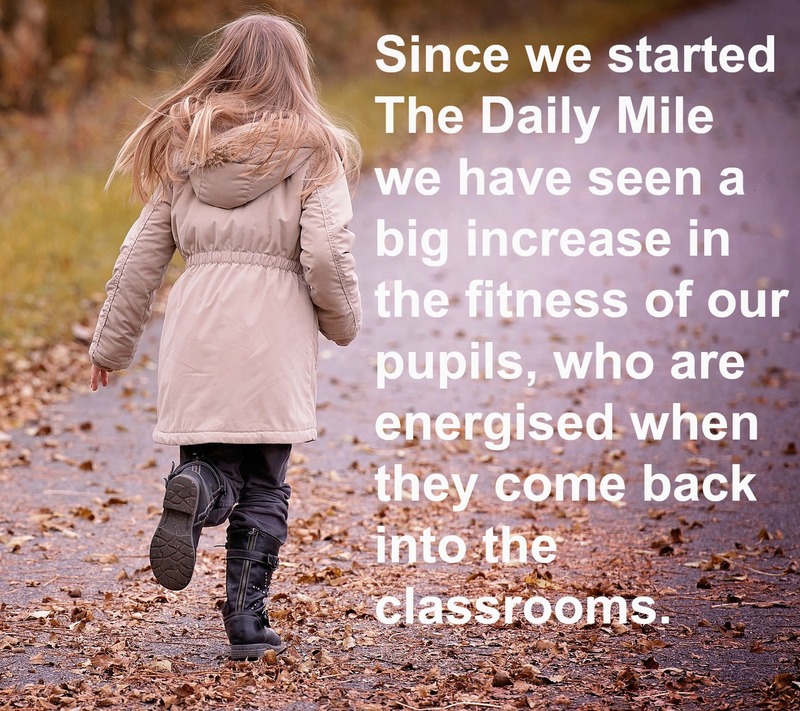 At Marton Primary Academy the children participate in the Daily Mile which has resulted in attention levels and behaviour in class being improved and parents have commented that their children are fitter, more active and alert. Alliance for Learning is a large Teaching School based at Altrincham Grammar School for Girls. I also work as a Co-Principal across our MAT Bright Futures Educational Trust. 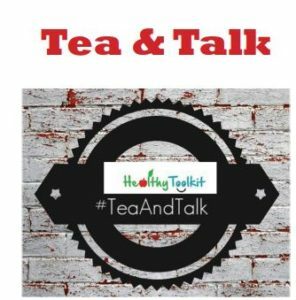 Passionate about health and wellbeing I am a Headteacher Ambassador for the Youth Sport Trust and CoChair of the GM Headteacher Alliance for PE, Sport and Wellbeing. I am also a Mental Health First Aid Instructor delivering training for MH England.